Relentlessly uncompromising and sometimes exasperating, Toufic’s radical and visionary poetics gird the reader to forge ahead into uncharted territory.… Although sometimes couched in what looks like the language of critical theory, Toufic’s formal hybridity and poetic methods sharply distinguish Forthcoming from most other titles on those shelves labeled Cultural, Poststructuralist, or Postcolonial Studies.… One could not find in current film theory anything as suggestive or useful as Toufic’s writing on the relationship of medieval Islamic philosophy to certain contemporary Central Asian and Middle Eastern cinematography.… Toufic’s interest in figures and movements sometimes considered heretical in the Islamic and Jewish traditions (the Nizaris, certain Shi'ites, the cabalists) opens the way to significant reevaluations of entire historical eras and relationships between languages, cultures, and peoples. In his insistence upon treating the dead as a great part of the potential force of this world, Toufic plumbs the poetics of disaster and recuperation in ways that remain both incredibly suggestive and relentlessly radical. 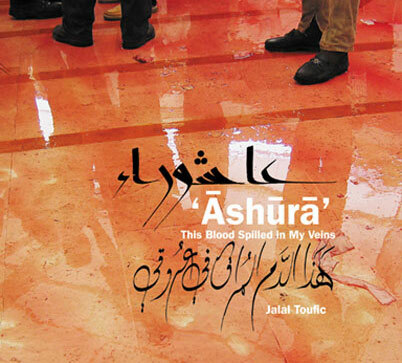 © 2005–2015 by Jalal Toufic. All rights reserved.